R Baker (Electrical) Ltd manufacture custom build hazardous area transformers according to IECex standards. Our hazardous area manufacturing team offer an extensive range of ATEX, IECEx and FM certified transformers. 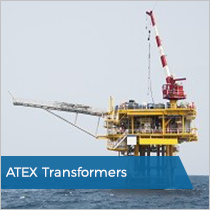 Our transformer range is used in pharmaceutical, offshore, chemical and petroleum sectors. The ATEX Directive has increased the demand for bespoke solutions in many process industries. Having experience in petrochemical, pharmaceutical and oil & gas we are able to offer the bespoke solution you need. Our range of hazardous area transformers are all custom built to meet your specific requirements. We certify transformers to the ATEX Directive for safe use in Zones 1 or 2 and are CE marked. We have the engineering capabilities to manufacture for all different ATEX/IECex hazardous areas. This includes all potentially explosive gas and dust atmospheres, where the temperature class and ambient temperature permit. All of our transformers come with comprehensive documentation. This will include regulatory documents for ATEX, IECEx, FM etc. and EC declarations of conformity. Safety and user manuals and mechanical drawings will also be produced and delivered with all products. Depending on the specific ATEX(IECex-) zone in which the transformer is used, we will advise which transformer suits best. R Baker (Electrical) Ltd has built a reputation for over 34 years for professional engineering excellence. We are able to offer a full design and manufacture service. Whether you need an explosion proof transformer or a standard style transformer, we are here to help. 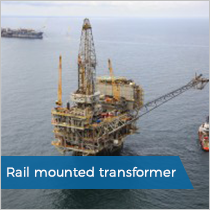 We manufacture transformers for Rail, Commercial, Military and Offshore applications. Having a diverse customer base gives us a great understanding of different industry environments and needs. We pride ourselves on providing an outstanding level of customer service. We offer free advice over the phone when needed and will also work with your team to ensure you get the solution you need. Using our experience, we tailor solutions to meet your specific requirements regardless of how unconventional they may be. We take pride in having all our procedures and quality controls independently monitored to BS EN ISO 9001:2000. Additionally, we work alongside all the leading quality and testing authorities such as; DNV, BSI, Lloyds, Nemko, NSN and VDE. Our client required us to design and manufacture an Ex’d power transformer for use in a Zone 2 hazardous area, stepping down the input voltage from 220V AC to 110V. The design required two Eaton circuit breakers and 5 Schneider terminals, all of which meet the ATEX and IECEx standards. Our engineering team manufactured a Zone 1 / 2 hazardous area transformer designed to isolate and step down the incoming 440 Volts, single phase (2 Phases of available 3), 50-Hertz supply to 240 Volts centre tap connected to earth. Our client required this solution in a short lead time and to be supplied with full working drawings, component lists and written instructions. 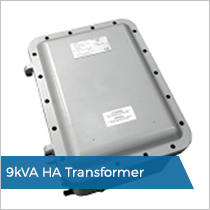 We were tasked to manufacture an 800VA ATEX transformer designed to be used within a control panel. To be supplied with installer’s declaration, internal layout drawings, photographs of components, BOM and certificates for ATEX and IECEx standards. All of our solutions come with comprehensive documentation for the flameproof enclosures. Our range includes ATEX, IECEx & GOST Zone 1 rated explosion-proof aluminium alloy enclosures and Zone 1 rated explosion-proof stainless steel enclosures. For bespoke designs we can also offer different rated and structural design for transformer enclosures. These enclosures are suitable for those industries where potentially explosive environments exist, e.g. chemical, petrochemical and pharmaceutical industries; onshore and offshore ship industries; areas at risks of explosion and fire and oil and gas extraction industries.